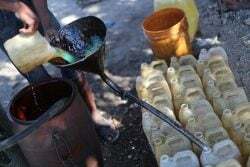 (Trinidad Guardian) A co-ordinated Caricom clampdown concerning returning Foreign Terrorist Fighters (FTFs)— including targeting their assets— is in the works. In the next three weeks, Caricom leaders will move to finalise plans for a Caricom arrest warrant regarding FTFs and sharing of recovered assets, as well as regional anti-terrorism legislation. The latter will be based on T&T’s proposed anti-terrorism legislation. The matters are proposed for signature at Caricom’s upcoming July summit in Grenada. Prime Minister Keith Rowley chairs Caricom’s Security Committee. Caricom Secretary General Irwin La Roque and National Security Minister Edmund Dillon spoke about the developments yesterday at a Caricom Counter-Terrorism Strategy conference. Stakeholders all stressed the need for an urgent Caribbean anti-terrorism thrust. “The question for the region (on terrorism) isn’t a matter of ‘if’ but ‘when’,” Dillon warned. 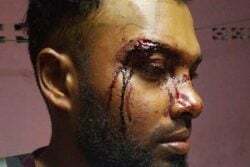 IMPACS executive director Francis Forbes said Impacs and the US are tracking “several hundred” from the Caribbean and South American who’ve gone to the Islamic State (Isis) terror network. Forbes said 200-plus Caricom nationals have travelled to Isis territories—fighters and families—and 130 are being tracked as alleged FTFs. Exact means of recruitment wasn’t clear, but all belonged to close personal networks. Several returning FTFs are being actively monitored by regional law enforcement agencies, he added. Yesterday’s conference at the Hyatt, hosted by Caricom’s Implementation Agency for Crime and Security (IMPACS), involved Caricom stakeholders plus experts from the US State Department, Interpol and Europe. Dillon said main security concerns for the region posed by terrorism include the FTF phenomena – persons travelling from this region to regions of conflict, and their subsequent return. 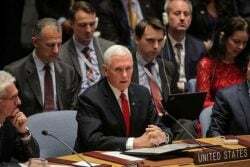 Also at issue is the increasing influence of radical clerics and radicalised Isis sympathisers in Caricom states, the growing volume/accessibility of terrorist group propaganda on-line and via peer-to-peer networks; and the potential exploitation of the banking system to fund terrorist networks. Forbes noted calls had been made by Caribbean -born FTFS (in Isis’ Dabiq magazine) for home turf attacks. He said returning FTFs hold battlefield expertise and the potential for “lone wolf” attack and can spread radicalisation. He also noted the “push” such influence can have on transnational crime. La Rocque, who said no country was immune to terrorism, added Caricom’s July summit will discuss the draft plan for the region concerning a Caricom arrest warrant and sharing of recovered assets of FTFs. “Our region can’t afford complacency – one act of terrorism in one state will resonate and have implications across the region,” La Roque added. 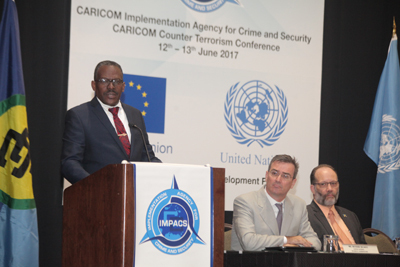 Minister of National Security Edmund Dillon delivers an address during the formal opening of CARICOM Counter Terrorism Strategy two day conference held at Hyatt Regency Hotel yesterday. Looking on, from second left, are United Nations Resident Coordinator & UNDP Resident Representative T&T Richard Blewitt and CARICOM Secretary General and Chief Executive Officer Ambassador Irwin Larocque.